Reports on rich lists whether in the private sector or the government offer few surprises. It’s usually the same people who top the rankings year after year. The exclusive newscast by GMA Network’s 24 Oras on the richest members of President Rodrigo Duterte’s Cabinet on May 25, 2018 is different. It revealed an unexpected shift in the rankings. While the No. 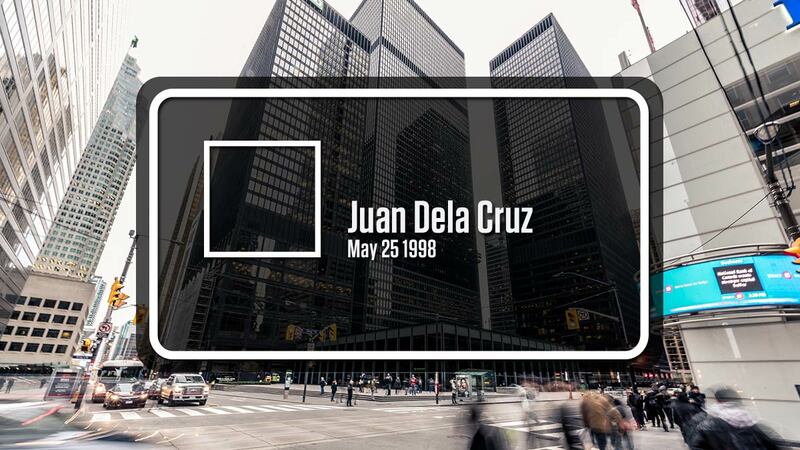 1 in the list remained Public Works Secretary Mark Villar, the second placer was somebody new: Energy Secretary Alfonso Cusi, who replaced last year’s No. 2, Finance Secretary Carlos Dominguez III. Even more surprising was the 733.2-percent rise in Cusi’s wealth to Php1.36 billion in 2017 from only Php162.7 million in 2016, according to a copy of his 2016 SALN released by Malacanang in August 2017. In reply to a request for comment, Cusi said the big jump in his net worth was due to the sale of a family-owned corporation. "The sudden increase in my net worth is due to the sale of Starlite Ferries, Inc. (SFI) to Chelsea Logistics Corporation in November 2017. SFI is a family-owned and controlled corporation," he explained. All in all, 14 members of the Cabinet saw increases in their net worth in 2017 while three suffered declines. One reported an unchanged level of net worth. On average, Duterte’s Cabinet members’ wealth increased by 56.5 percent. 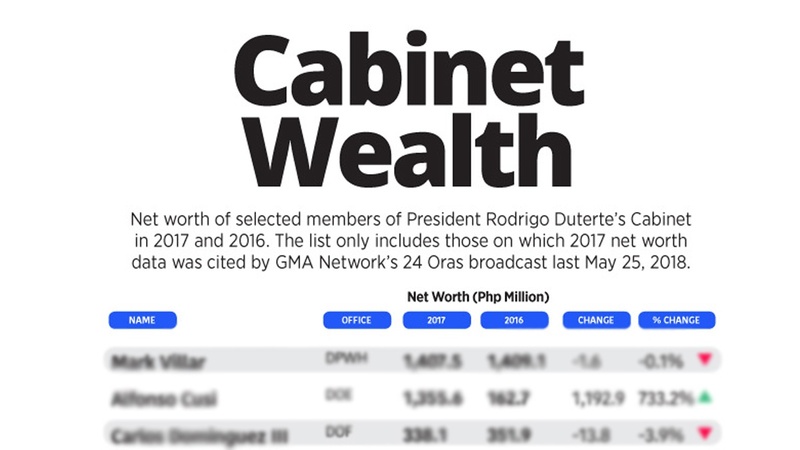 The 24 Oras report did not include Cabinet members for which the 2017 net worth data is not yet available. The two richest Cabinet members in 2016 also saw decreases in their net worth. Villar’s wealth shrunk by 0.1 percent from Php1.409 billion to Php1.408 billion but he remains the richest Cabinet member. Dominguez’s wealth declined by 3.9 percent from Php351.9 million to Php338.1 million last year, pushing back his rank to third place.